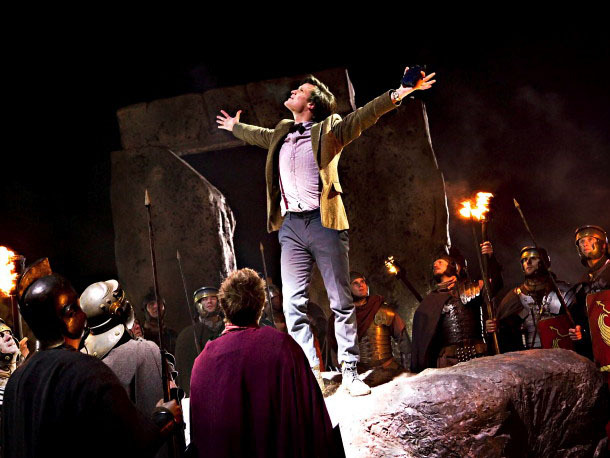 The 2011 Hugo Award winners were announced on Saturday 20 August at the Peppermill Hotel and Casino in Reno, Nevada, and Doctor Who nabbed its fifth accolade in the history of the event for the series five two-part finale “The Pandorica Opens”/“The Big Bang”. The story won the Best Dramatic Presentation (Short Form) category beating two other Doctor Who stories: “A Christmas Carol” and “Vincent and the Doctor” as well as the picture book The Lost Thing by Shaun Tan and the YouTube song sensation “F**k Me, Ray Bradbury” by Rachel Bloom (hmmm, was TV really that bereft of decent episodes last year?). The Hugo Awards, which have been presented every year since 1955, are given every year for the best science fiction or fantasy works and achievements of the previous year. The award is named after Hugo Gernsback, the founder of the pioneering science fiction magazine Amazing Stories.